"the eleven-year-old Lady Elizabeth presented Catherine with her own beautifully bound and embroidered translation of Marguerite's long poem Le miroir de l'âme pécheresse." 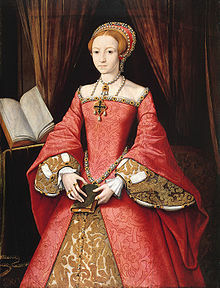 "the sixth and last wife of King Henry VIII, destined to outlive the mercurial ruler... She was an admirable wife to Henry and a loving stepmother to his two youngest children, Elizabeth and Edward. She was also the most intellectual of Henry's wives, caught up in the turbulent religious climate of the times." "queen consort of Henry II of Navarre. Her brother became king of France as Francis I, and the two siblings were responsible for the celebrated intellectual and cultural court and salons of their day in France... As an author and a patron of humanists and reformers, she was an outstanding figure of the French Renaissance." "an outpouring of surprising intensity: over 1,400 lines of self-accusation and self-abasement. The Reformist orientation is apparent in the poem's Pauline-Augustinian bent, as in the prominence of biblical allusions. The speaker of the poetic monologue presents herself as a wretched sinner, who has so violated and betrayed her relationship with God that she is totally unworthy of his grace. Parsing out that relationship into a series of familial paradigms - daughter, mother, sister, wife - she explores each area of defection through an exemplary episode from the Bible." So the translator may have been a child, but the text was no children's poem. “Neither do we know who, if anyone, helped Elizabeth with her translation. It seems unlikely she was utterly on her own, yet her errors and omissions suggest inattention (or inadequate French) on someone's part. She opens with a letter to Catherine. She knows of the queen's 'affectuous wille, and fervent zeale... towardes all godly learning.' So, to avoid idleness, she has turned 'frenche ryme in to englishe prose, joyning the sentences together as well as the capacitie of my symple witte, and small lerning coulde extende themselves.' Her effort is merely a beginning, so she hopes Catherine will not show it ot anyone ‘lesse my fauttes be knowen of many.’ Maybe Catherine can amend it. Happy New Year." Who might have helped Elizabeth? Let’s not underestimate her. She'd been put through a thorough Renaissance Christian education that included learning, Italian, Spanish, Greek and Latin besides English rhetoric and French. So she no doubt had capable teachers. We know, for instance, that her tutor in Greek was Henry Savile, later one of the King James Bible team of translators. By the time she was eleven, we can suppose, on the basis of this education and the translation itself, that she was an Advanced Native Translator. In spite of Elizabeth’s reticence about the quality of her translation, once she became queen it was obviously in some courtier’s or bookseller’s interest to publish it and that’s what happened. See References below. * The proof that sophisticated translations by children at the Advanced Native Translator level are by no means a modern phenomenon. This example pushes it back by nearly five centuries. Elizabeth was very intelligent but she was surely not unique. How many other literary and religious translations by children have been done over the centuries, and then lost because the child was not famous or royal? Anne Lake Prescott. The Pearl of Valois and Elizabeth I: Marguerite de Navarre's Miroir and Tudor England. In Margaret Patterson Hannay (ed. ), Silent but for the Word, Kent OH, Kent State UP, 1985, pp. 61-76. Marguerite de Navarre. Wikipedia. http://en.wikipedia.org/wiki/Marguerite_de_Navarre. Marguerite de Navarre. Le Miroir de l'âme pécheresse. 1521. The full text is available on Wikisource, http://fr.wikisource.org/wiki/Le_Miroir_de_l%E2%80%99%C3%A2me_p%C3%A9cheresse. Susan Snyder. Guilty sisters: Marguerite de Navarre, Elizabeth of England, and the Miroir de l'ame pecheresse. Renaissance Quarterly, vol. 50, 1997, pp. 443-458. http://www.questia.com/googleScholar.qst?docId=5000487330. "From Assherige, the last daye of the yeare of our Lord God 1544 ... To our most noble and vertuous Quene Katherin, Elizabeth her humble daughter wisheth perpetuall felicitie and everlasting joye." A Godly Meditation of the inwarde loue of the Soule.Compiled in French by Margaret Queene of Nauerre translated by Princesse Elizabeth, Queene of Englande. London, circa 1570. There are three versions of this publication in the British Library in London. Elizabeth at age 13. 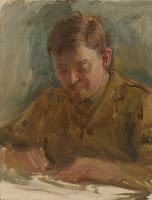 Painter unknown. Source: Wikipedia. The previous post told how Charles Perrault's 17th-century French fairy story The Sleeping Beauty (Beauty for short) travelled eastwards across Europe to Russia and was transformed into a sumptuous ballet coordinated by the St Petersburg impresario Ivan Vsevolozhsky. That was in 1890. Here begins the story of its journey back to the West under the directorship of an even greater Russian impresario, Sergei Diaghilev. In 1909 Diaghilev formed his own ballet company, Les Ballets Russes, and took it to Paris, where it was a sensational artistic success. Notice that, true to the bilingualism of the Russian elite, he gave it a French name, which it retained wherever it went; and he was better known in the West himself by the French form of his name, Serge. This was a very different generation from Vsevolozhky's, one of new Russian vitality in the arts, and it explains the bombshell that exploded in Paris. Russia, the imbiber of Western culture, leapt to its fore. Not only did the Ballets Russes include young dancers who were to become legends: Nijinsky, Pavlova, Karsavina and others who set a new standard and repaid Russia's debt to Petipa. Diaghilev also brought as his artistic director Léon Bakst. "Together they developed a more complicated form of ballet with show-elements intended to appeal to the general public, rather than solely the aristocracy. The exotic appeal of the Ballets Russes had an effect on Fauvist painters and the nascent Art Deco style." In the same spirit, Diaghilev commissioned the music for three ballets from the avant-garde composer Igor Stravinsky. The most influential of these was The Rite of Spring (1913). "The Rite, whose premiere provoked a riot, transformed the way in which subsequent composers thought about rhythmic structure, and was largely responsible for Stravinsky's enduring reputation as a musical revolutionary, pushing the boundaries of musical design." Yet through all those tumultuous times, Diaghilev didn't forget Beauty. After the Russian Revolution of 1917, he stayed in the West with all his troupe. In 1921, as an accommodation to British theatrical taste, he brought Beauty to London. "It was a production of remarkable magnificence both in settings and costumes but, despite being well received by the public, it was a financial disaster for Diaghilev and Oswald Stoll, the [English] theatre-owner who had backed it." There's a curious anecdote about the name under which the production appeared. "Diaghilev insisted on calling the ballet The Sleeping Princess. When asked why, he quipped, 'Because I have no beauties!'" But although Sleeping Princess might be justified as as an extralinguistic translation, since the star role is indeed that of a princess, it was a mistake because it failed to connect with the entrenched English tradition of the Perrault tales that I described last year. As it turned out, the impact of Les Ballets Russes in Britain went far beyond that one production. It sparked a new taste for ballet in British culture and a new school of British dancers – another remarkable cultural transplant. In 1926, Marie Rambert, who had danced for Diaghilev, created the first ballet company in Britain, which became known as Ballet Rambert. She recruited a generation of outstanding British dancers and choreographers. Another 'spin-off' from Les Ballets Russes was Ninette de Valois. Despite her French-sounding professional name, she was actually Irish, christened Edris Stannus, and she made her professional debut as a principal dancer in pantomime! That was before Diaghilev spotted her. "Later in her life, de Valois claimed that everything she knew about how to run a ballet company, she learned from working with Diaghilev." The school and company she founded in 1931 became known as The Sadler's Wells Ballet (from the name of the theatre where it was housed). It was the first ballet company I ever saw, towards the end of WW2 when it appeared in other London theatres besides Sadler's Wells. During WW2, the Royal Opera House in London, popularly known as Covent Garden from the district where it's located, had been turned into a dance hall for troops on leave. In 1946 it was cleaned up and reopened, and the opening night featured the Sadler's Wells production of Beauty. The company, which was by then nec plus ultra, became The Royal Ballet and its teaching branch The Royal Ballet School. In 1949 it made a triumphant tour of the United States with Margot Fonteyn as Princess Aurora in Beauty. And so it has continued, with Beauty in its repertoire. The most recent developments have been due, as in so many fields, to the new technologies. There's a Royal Ballet production of Beauty available on DVD, and now the RB has turned to transmitting some of its productions live to cinemas across Europe and beyond. And that’s how I came to see it with friends last week on the big screen of a cinema here in Valencia. A magnificent production, dressed in the Oliver Messel costumes from the 1946 production. The prima ballerina looked very British, the leading male dancer was Russian as was the conductor of the British orchestra. Cultural fusion. The programme notes duly named Tchaikovsky, Petipa and Perrault. Ninette de Valois. Wikipedia. http://en.wikipedia.org/wiki/Ninette_de_Valois. Extralinguistic translation: a translation that results from other factors besides language ones. From The Royal Ballet's The Sleeping Beauty, 2009. Source: www.check-in-london.com. the other tradition is a true art form and appeals to a different social and intellectual class. It’s the Christmas ballet. Parents take their children to the panto for a good laugh; they take them to the ballet for wonderment and inspiration. The Christmas ballet audiences are sprinkled with children, especially little girls who dream of one day emulating the sylph-like dancers. The favourite Christmas ballets year after year are The Sleeping Beauty (henceforth Beauty for short) and Nutcracker. I’ll deal with Beauty for now and leave Nutcracker for another year. Like Cinderella's, Beauty's lineage goes back to the 17th-century French writer Charles Perrault, who "laid the foundations for a new literary genre, the fairy tale, with his works derived from pre-existing folk tales." Perrault gave it the title La belle au bois dormant; notice that au bois (in the forest) is dropped from the standard English title. Its route to the London stage is, however, very different from and much longer than that of the pantomimes. By the late 18th century, the popularity of Perrault's Tales had spread across Europe and had reached Russia. They were published in Russian translation in 1765 (see References), and the publisher was the new Moscow Imperial University, founded in 1755, which says something about Perrault's prestige. They merged with a rich tradition of native Russian fairy tales (see the Wikipedia reference below). That was the first stage. The next in this roundabout series of cultural transformations was not between languages but between media. Beauty became one the most famous and enduring of ballets, a brilliant jewel bequeathed to the world by Tsarist Russia. Everyone who likes classical music knows that the music for Beauty was composed by Tchaikovsky, for it is often played as an orchestral masterpiece in its own right. Tchaikovsky knew the story, but whether he learnt it from Perrault doesn't really matter, as we shall see. Though Tchaikovsky is considered a Russian composer, his music, despite a Russian flavour in the melodies, is really firmly part of the Western European orchestral tradition that he and other 19th-century composers imported. Indeed some early critics thought his music for Beauty was too symphonic for a ballet. Balletomanes are accustomed to seeing the name of the original choreographer of Beauty on the theatre programmes even today: Marius Petipa. He had a long career as Premier Maître de Ballet of the St Petersburg Imperial Theatres, a position he held from 1871 until 1903, but before that he had built up a reputation in Western Europe. He "is considered to be the most influential ballet master and choreographer of ballet that has ever lived." In his case there was no need of a translation from French, because Petipa was French. He was born in Marseille. And the ballet technique he taught wasn't Russian; it was the French and Italian tradition that he had brought with him – with an occasional touch of Spanish, for he spent several years of his youth in Spain. Another cultural transfer. Then there was the third man, somebody far less well-known though he too played a crucial role in creating the ballet. His name was Ivan Alexandrovich Vsevolozhsky. As Director of the Imperial Theatres, it was he who commissioned the ballet from Tchaikovsky and Petipa for the Mariinsky Theatre in St Petersburg. (Incidentally, Beauty is on the programme of the Mariinsky this week.) Besides being a competent administrator, he loved the theatre. 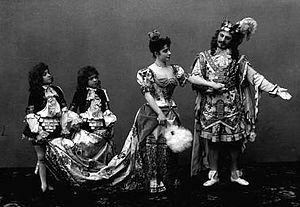 Actually he made a triple contribution to Beauty: he was the impresario, he designed the costumes for the original production (see photo) and he wrote the scenario from which Tchaikovsky and Petipa worked. What was Vsevolozhsky's source? The 19th-century Russian elite were Francophiles and French was widely used among them. "All libretti and programs of works performed on the stages of the Imperial Theatres were titled in French, which was the official language of the Emperor's Court, as well as the language in which balletic terminology is derived." Therefore, although the Russian translation of Perrault was available, it's just as likely that Vsevolozhsky read it in French. In any case, there was a bilingual edition of the Voinov translation published as early as 1797. Furthermore, Vsevolozhsky also used another version of the story, the one that appears in German with the title Dornröschen in the folk story collection of the Brothers Grimm. Hence the ballet that reached the stage of the Mariinsky in 1890 was an amalgam of several traditions, made with or without translations but certainly with cultural transfers: French and German fairy story literature, Western European orchestral music and French and Italian dance. All brought together by Vsevolozhsky to satisfy his Russian patrons' taste for spectacle. Angie Sammons. First night: Cinderella/Liverpool Playhouse. Liverpool Confidential, 13 December 2011. www.liverpoolconfidential.co.uk/Entertainment/Theatre-and-Comedy/First-night-Cinderella-Liverpool-Playhouse. David Waddington. Review: Aladdin brings panto fun to Llandudno. North Wales Pioneer, 12 December 2011. http://www.northwalespioneer.co.uk/lifestyle/108735/review-aladdin-brings-panto-fun-to-llandudno.aspx. Charles Perrault. сказки с нравоучение. Translated by Lev Voinov. Moscow: Moscow Imperial University, 1768. Category: Russian fairy tales. Wikipedia. http://en.wikipedia.org/wiki/Category:Russian_fairy_tales. Brothers Grimm. Dornröschen. In Kinder- und Hausmärchen, 1st edition, 1812. Some of Vsevolozhsky's costumes for the original production of Beauty at the Mariinsky Theatre, St Petersburg, 1890. Source: Wikipedia. "This past weekend I reviewed a translation contract for a friend. She is a retired teacher, U.S. citizen, immigrant from Afghanistan, who is a native speaker of Pashto, also speaks Dari and Arabic and holds degrees from Kabul and graduate degrees from 2 U.S. universities which she attended on a Rhodes scholarship. She is an expert teacher and translator. When she sent my comments to Worldwide they terminated her offer and security clearance. They said that having their contracts (which are incredibly one-sided) questioned is unacceptable. It shows their priorities." Your friend seems to have fallen on a hard-nosed and perhaps unscrupulous agency. It's not surprising that there are some when you see the money involved. There are internet ads offering up to $300,000 a year (yes, three hundred thousand) plus benefits. Those, however, are some of the most dangerous jobs that exist in Afghanistan and potential applicants are warned that living conditions may be rough. But there are also positions at $100,000 without putting a foot outside the United States. Provided you're a US citizen and have or can get security clearance. For one agency, a Green Card will do instead of citizenship, but the pay will be slightly lower. "Must be familiar with the local culture, conduct oneself in accordance with local customs, and deal unobtrusively with the populace,"
And even the citizenship and security requirements are relaxed for telephone interpreting (see References). Alone the US Army offers training (see References). "In addition, we do have a referral bonus of $6,000, if you refer a person of interest who will meet with the requirements we have in place." "If you think you need brush-up or practice for that matter, I am gladly [sic] to provide my service to you." So the level of recruits sought ranges generally from Natural Translators to Advanced Native Translators. Perhaps your friend is over-qualified for many of these jobs. Nevertheless, since competition for the few available American Pashto and Dari translators and interpreters seems so fierce, your friend should look elsewhere and insist on $100,000 a year in comfortable working conditions, and of course with an equitable contract. I've avoided naming employers, agencies and recruiters; but if you're interested, Google for interpreters pashto or translators dari. And remember that the US military still uses linguist in the sense of translator: see http://www.goarmy.com/linguist/contact-a-linguist-recruiter.html. For Pashto telephone interpreting: https://languageline.taleo.net/careersection/unitedstates/jobdetail.ftl?job=51940&src=JB-10640. This is the 201st post on this blog. It was to have been the 200th, but the event reported in the previous post intervened unexpectedly to make it the 201st. 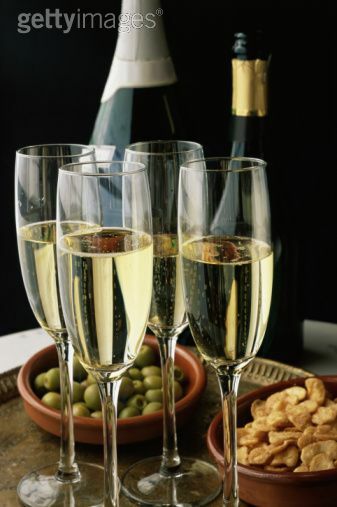 Never mind, there’s still time to celebrate it with Spanish champagne (aka cava). So I’m going to take a break. Not for very long. I already have things in mind for Christmas and New Year. And not a holiday: I have other pressing work to attend to, some of it very overdue. I’ll still sporadically answer comments and correspondence. Not that there’s any lack of material for this blog (and I thank again all those who’ve sent me contributions). Like translation itself, it’s all around us. The wonder is that nobody else seems to be blogging it. I have to start preparing for 2012. The First International Conference on Non-professional Interpreting and Translation at Forli, Italy (website http://npit1.sitlec.unibo.it/ ) is still six months away, but the months whizz by. I’m looking forward very much to meeting some of you there in the flesh. The dementia-stricken Englishman for whom I’d been interpreting Spanish with doctors and caseworkers for more than a year – it seems longer – died unexpectedly yesterday. For the whole story, enter Cullera in the Search box on the right. I’d come to think of him as a close friend. Probably that’s an effect liaison interpreting has on you if you do it for the same person for a long time. After all, you share the person's thoughts, even if they‘re chaotic. To the end, he still recognised my wife and me even though he couldn‘t remember our names, greeted us warmly and thanked us. In the course of it, I’ve learnt the rudiments of medical and social services interpreting, but also about dementia (of which Alzheimer’s is just one variety) and what a terrible, exhausting disease it is not just for the victims but also for their families and other care takers. It turns knowledgeable, capable, life-hardened adults back into young children who must be watched over day and night. It nearly killed this man’s wife. For the time being, I’ll still be interpreting for her. If you get a chance to see it, there’s an inspiring Catalan film about Alzheimer’s. It features Pasqual Maragall, who was Mayor of Barcelona at the time of the Olympic Games there and is now stricken but is determined to fight it for as long as he can with the help of his family. Bicicleta, cullera, poma. A documentary film by Carles Bosch. Barcelona, 2010. 96 minutes. In Catalan, available with Spanish and English subtitles. English title Bicycle, Spoon, Apple, from the three words a patient is asked to remember in a diagnostic test. Long-time Followers and other readers of this blog will remember previous posts about the interpreting at the drawn-out series of hearings in Canada for members of the Shafia family. They are Afghans, up on a charge of murder for an alleged honour killing. (I’m avoiding the presumption of guilt and motivation that most of the media make). To find the previous posts, enter shafia in the Search box on the right. Now the case has finally come to trial. On the language side, some things have improved since the early days: the courtroom installation for the interpreters has been made less flimsy and some of the press correctly identifies the defendants’ language as Dari, not Farsi. I don’t know why it should be harder to hear an interpreter than to hear the witness directly; indeed the use of headphones for the simultaneous interpreting ought to make it easier if the equipment is up to standard. But it’s an interesting new juror requirement. This is the first time I’ve heard of prior subtitling of testimony and of jurors being provided with a prior written translation. Plainly the prosecution are being innovative in their measures to avoid any evidence being contested. This could hardly have been done through an interpreter respecting the conventional norm of interpreter neutrality. It would have required the policeman and the interpreter to work together with a common purpose. In any case, the Farsi-speaking officers only appeared on the scene some while after the investigation had started, because they had to be borrowed from another police force in a distant part of Canada. At the very start it was a local Anglophone police officer named Dempster who did the first interviews, before they had become interrogations of suspects. He immediately phoned for and obtained an interpreter. 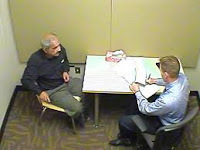 During his first interview with the head of the family, “Shafia was by turns impatient with the translator and Dempster.” This illustrates the difficulty someone may have in keeping the personality of the interpreter separate from that of the person for whom the interpreter is speaking. Police interpreters are an essential aid and there are many of them, either regulars or ad hoc. They are involved in crime work long before the court interpreters; and probably more often, because a case may never come to trial or a witness may never be called. But inevitably they work in the shadows. For that reason they might qualify for my category of unrecognized translators. Unlike court interpreters, their work isn’t subject to the scrutiny and checks that apply in open court; although when “anything you say will be taken down and may be used in evidence,” their accuracy is just as crucial. What is taken down, after all, has long been what the interpreter says – though that may change with videotaping, subtitling and translated transcripts. Christie Blatchford: Accused in alleged honour killing showed no sign of distress. National Post, Oct 30, 2011. http://fullcomment.nationalpost.com/2011/10/28/christie-blatchford-accused-in-alleged-honour-killing-showed-no-sign-of-distress/. Christie Blatchford: Mother accused of killing teen daughters had Karla Homolka moment with police. National Post, November 2, 2011. http://fullcomment.nationalpost.com/2011/11/02/christie-blatchford-mother-accused-of-killing-teen-daughters-had-karla-homolka-moment-with-police/. Rob Tripp. ‘I haven’t killed them,’ sobbed mother accused of murdering her three teenage daughters. National Post, November 2, 2011. http://news.nationalpost.com/2011/11/02/%E2%80%98i-haven%E2%80%99t-killed-them%E2%80%99-sobbed-mother-accused-of-murdering-her-three-teenage-daughters/. Mohammad Shafia on June 30, 2009, at the Kingston Police Sation. The interpreter is out of sight on the right. Source: full comment.national post.com. This is an off-topic post for lovers of poetry. 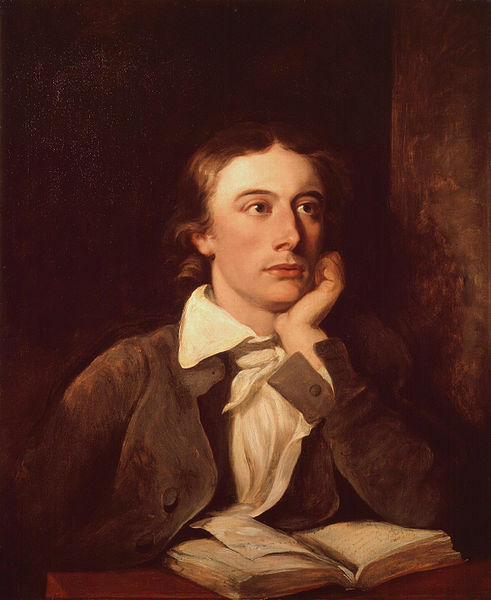 Today, 31 October, is the birthday of English Romantic poet John Keats (1795-1821). The post also concerns an English translator, George Chapman (1559-1634), and his translation of Homer. And swift hounds; then the Greekes themselves his deadly arrows shot. The fires of death went never out. . . .
On First Looking into Chapman's Homer. Wikipedia. http://en.wikipedia.org/wiki/On_First_Looking_into_Chapman%27s_Homer. Homer. Seaven Bookes of the Iliades of Homere, Prince of Poets. Translated according to the Greeke, in judgement of his best Commentaries by George Chapman, Gent[leman]. London: John Windet, 1598. 135 pp., 4º. This isn’t the complete Chapman translation, which didn’t appear until about 1610, but it’s the earliest edition. The copy in the British Library in London bears the autograph of another famous Elizabethan, Ben Jonson, an indication of the attention its publication aroused. Chapman’s Homer: The Iliad and the Odyssey. Ware, Hertfordshire: Wordsworth Editions. 2000. Available through Amazon from $5. John Keats, by William Hilton (died 1839). National Portrait Gallery, London. I’ve long been qualified as an Expert Conference Interpreter; and after a year of medical and social services interpreting for a man suffering from dementia and for his wife, I might perhaps qualify as an Expert Community Interpreter. The latter has been volunteer, non-professional work; there are other British residents in Spain who do it out of sympathy for their aged or obtuse compatriots who don't learn the language of the country. I’ve also done a little remote interpreting for TV. But until last week, I’d never done telephone interpreting (TI), although it’s now probably the most rapidly expanding mode of professional interpreting. Just look at the ads for it on the internet. TI was pioneered by the Department of Immigration in Australia 40 years ago – yes, around 1972 – fostered by the explosion of immigrant languages and by the need to cover long distances on that continent. It reached North America, and at the same time a commercial market, a decade later in the form of AT&T’s Language Line, which is still going strong, and from there to Europe and beyond. Its pros and cons are well known in professional circles. - Logistics. It’s no longer necessary to transport the interpreters to where the speakers are. Indeed, with three-way phones it’s not even necessary for the participants in the conversation to be in the same place as one another. If the purpose is in any case to translate a telephone conversation, then the interpreter just plugs in. - Economy. There are consequently substantial savings in both cost and time. - Pay as you go. The logistics make it unnecessary to book an interpreter for an hourly or daily period. - Equipment. It needs minimal equipment, and of a kind that all the telephone companies can supply. It should, however, be of good quality. - Logistics again. It makes it possible to provide interpreting in remote places or in unusual languages for which it couldn’t be supplied otherwise. - Almost instant availability around the clock if it’s well organized, and therefore very useful for hospitals, the police, airports, etc., instead of calling out an interpreter in the middle of the night. - For the interpreters, they can accept work from almost anywhere in the world. - It’s subject to the quality and vagaries of the telephone equipment and network, especially when using mobile phones. - The interpreter can’t see the body language of the other participants. - The interpreter can’t use body language either, for instance to halt the flow of speech by raising a hand. - The interpreter can’t see any visual displays accompanying what is being said. - Likewise the interpreter can’t see any documents that are being referred to, nor do any sight translation from them. Most of the CONS will be overcome or mitigated in time as Skype type visual hookups improve in quality and reliability. Anyway, don’t take it all from me. See for example the practical advice in the InSync document listed below. My own initiation came last week when the Cullera dementia tragedy come to crisis point again and I couldn’t get down there physically from 30 km away in Valencia. For the background to this story, enter cullera in the Search box on the right. This time the interpreting wasn’t medical, but for a home visit by a social services caseworker in Cullera to the wife of the sick man. At the suggestion of the caseworker, we decided to try a mobile phone setup. Very primitive: no three-way telephony, just a single mobile phone passed from one participant to another and me on the house phone at home. Somewhat to my surprise, it worked. 1. The caseworker gave a brief explanation in Spanish of what each document was about, and this I translated to the wife. 2. To make sure, I had the wife tell me what she had understood. 3. I translated the wife’s version to the caseworker for verification – a form of back translation – and when necessary we went through a similar correction cycle. I repeat, it worked. At minimal cost and to the satisfaction of all concerned. What’s more, we’ve done it again since then. Remote or distance interpreting means the interpreter is situated at a distance, sometimes a great distance, from the speakers and they communicate with one another electronically in real time. 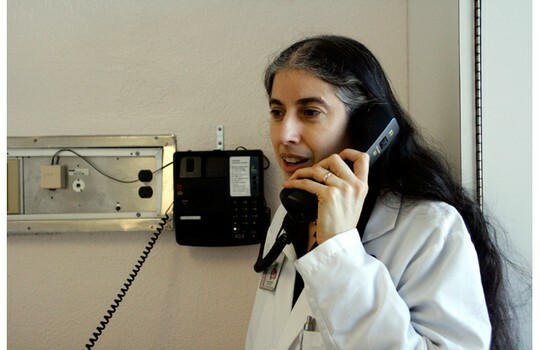 Telephone interpreting is one form of it, and training is now offered. Back translation: translating a translation back into the original language. Utilizing Telephone Interpreters. Sandy, UT: InSync Interpreters. http://www.insyncinterpreters.com/previous/docs/Using_Telephone_Interpreters.pdf. New! Videoconference and Remote Interpreting in Criminal Proceedings. An AVIDICUS e-book. Edited by Sabine Braun and Judith L. Taylor. Guildford: University of Surrey, 2011. 270 pp. Week in and week out, a very useful service provided by Denise Nevo of the Canadian Association of Translation Studies brings me an average of three notices of conferences and seminars about translation somewhere in the world. Multiply by 52 and that’s a lot of meetings each year. Most of them don’t interest me much because they’re not related to the topics of this blog, but I dutifully glance through them all. By this time, almost all the notices for 2011 should have arrived, because it takes time to organise a conference and we’re fast approaching 2012. No doubt Denise has missed a few – she depends on people feeding her the information – but I can get a pretty good idea by now of what’s been going on this year in the translation studies corner of academia. To my growing consternation, there’s been no announcement, in what I call ‘mainline’ translation studies, of any conference to mark one of the most important events of 2011, namely the 400th anniversary of the publication of the King James Version of the Bible (KJV). And this in a field whose contemporary gurus lay heavy emphasis on the cultural aspects and influences of translation. As I’ve insisted a number of times, religious translations have had more influence on human cultures than literary ones and the influence continues. So I was getting pretty despondent until my ever-supportive friend Ann Corsellis sent me a summary of the King James Bible Symposium held at Gresham College, in London, on September 26. An appropriate venue, since Gresham College itself is over 400 years old and situated very close to where the KJV was revised and put together at Stationers’ Hall in 1611. The Company of Sationers was the mediaeval guild, originally of manuscript booksellers, that craftesmen and tradesmen in the nascent printing industry joined. “It has to be said that the King James Bible when it appeared in 1611 was far from perfect. Demand was so strong that printers worked in teams to produce folios that were then bound together, sometimes even in the wrong order. There were also some notorious misprints, of which the most celebrated appears in the Wicked Bible, where the word not is omitted from the Seventh Commandment, thereby making adultery compulsory. The other error which cheers up members of the Stationers’ Company (who were heavily involved in the original production) comes in Psalm 119, which reads “Printers have persecuted me without a cause”, which should of course read princes. Thank you Gresham College. However, one symposium in a whole year isn’t much. Am I exaggerating? In fact there have been many scattered lectures and exhibitions, but no major conference. With one or two exceptions, they were all clergymen or philologists, not professional translators. To read these posts, enter kjv in the Search box on the right. Probably the most popular of the celebratory books has been Begat, by well-known linguist David Crystal, in which he traces the KJV origin of hundreds of expressions that have made their way into common English: land of the living, wolf in sheep's clothing, Am I my brother’s keeper?, letter of the law, the writing on the wall, etc. – 257 of them. Seems to me the academics have missed an opportunity for yet another international conference. Tim Connell, et al. The Language of the King James Bible: A symposium to mark the 400th anniversary of the King James Version of the Bible. Gresham College at Mercer’s Hall, 26 September 26, 2011. http://www.gresham.ac.uk/lectures-and-events/the-language-of-the-king-james-bible. Gresham College, founded 1597. http://www.gresham.ac.uk/. Gresham College is London’s oldest institution of higher education and has provided free public lectures within the City of London for over 400 years. There’s a fascinating ongoing collection of transcripts and videos on its website. Adam Nicolson. Power and Glory: Jacobean England and the Making of the King James Bible. London, 2003. 281 p.; many colour illustrations. Available in paperback. The Holy Bible Conteyning the Old Testament and the New: Newly translated out of the Originall Tongues: & with the former Translations diligently compared and reuised by His Majesties speciall Commandement /Appointed to be read in Churches. London, 1611. The full text is on several internet sites. John Bois (1561-1644). Translating for King James: being a true copy of the only notes made by a translator of King James's Bible, the Authorized version, as the Final Committee of Review revised the translation of Romans through Revelation at Stationers' Hall in London in 1610-1611 / Taken by John Bois ... these notes were for three centuries lost, and only now are come to light, through a copy made by the hand of William Fulman. Translated and edited by Ward Allen. Vanderbilt University Press, 1969. With facsimile reproductions. The Worshipful Company of Stationers and Newspaper Makers. http://www.stationers.org. David Crystal. Begat: The King James Bible and the English Language. Oxford: Oxford University Press, 2010. Roy M. Pitkin. The King James Bible: 400 and going strong. Huffington Post, October 10, 2011. http://www.huffingtonpost.com/roy-m-pitkin/the-king-james-bible-400-_b_993243.html. The years slip by. Once again it’s the Ninth of October, the National Festival of Valencians, anniversary of the bloodless capitulation by the last Muslim ruler of Valencia to King James I of Aragon – Christian of course – in 1238. A much restored mediaeval stone cross at the end of the main street of the village where I live marks roughly where his rearguard halted while he entered the city. Last year on this blog at this date, I told about the Jewish translators who assisted James and his henchmen in the 1238 negotiations and subsequent administration: to find the post, enter octubre in the Search box on the right. This year, something more contemporary. Valencia today is a major Mediterranean port and tourist attraction. From the terrace of our flat we have spied all summer two or three large cruise ships a week tying up in the port for 24 hours at a time. Some of them are so enormous above the waterline, like floating blocks of flats, it’s a wonder they don’t capsize (see photo). Each carries literally thousands of passengers. It disgorges them into the city for fast sightseeing and shopping, and I doubt most of them even taste an authentic paella. But few of these lightning visitors speak Spanish, and knowledge of English – let alone Italian, German, etc. – is very limited in Valencia. So they need interpreters. Only they’re not called interpreters. They’re called guides or hostesses. We’re back again to unrecognized translators, not counted in the statistics of the translation industry. I’m reminded of my own early days as a travel agency courier in Spain under the Franco regime. That's how I first came to Valencia in 1953, before the Great Flood (La Riada) of 1957 led to major changes in the city's landscape. It was a period that now seems almost as remote to young Valencians as that of James I of Aragon. Image: Cruise ship, probably Italian, as seen from our terrace. Clearly it involved translating, and it satisfied the requirement for translatology that there be an observable source input and an observable output. However, there are no readers of this kind of translation other than the translator, and so it goes unrecognized. Judging from my own experience taking notes of lectures and at meetings, it must in fact be quite commonplace. But I can see no way of telling precisely how much of it there is. And what to call it? 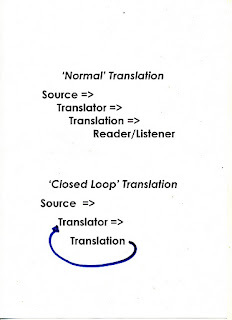 I thought of closed-loop translating but there should be something better. Suggestions welcome. One activity that produces considerable quantities of it is consecutive interpreting. Consecutive interpreters use notes as a memory aid, and they have a choice between taking their notes in the speaker’s language or in the target language, as well as in non-language symbols. Student interpreters often ask which is better. My inclination is to reply, “In whichever language you find easier,” because, as an experienced teacher, Wilhelm Weber, wrote:“It does not matter in which language the notes are taken, since notes are only symbols that contain a message.” In other words, the notes are not in the language form in which the interpreters deliver the message to their audience but only an intermediate stage. In the note-taking there is not only translating, there is adaptation in the form of compression. The translating may take place either before or after the note-taking, in the phase of compression or of decompression. Indeed the notes may well be a mixture of translated and untranslated elements, something that is not allowed by the current norm of Expert Translation. 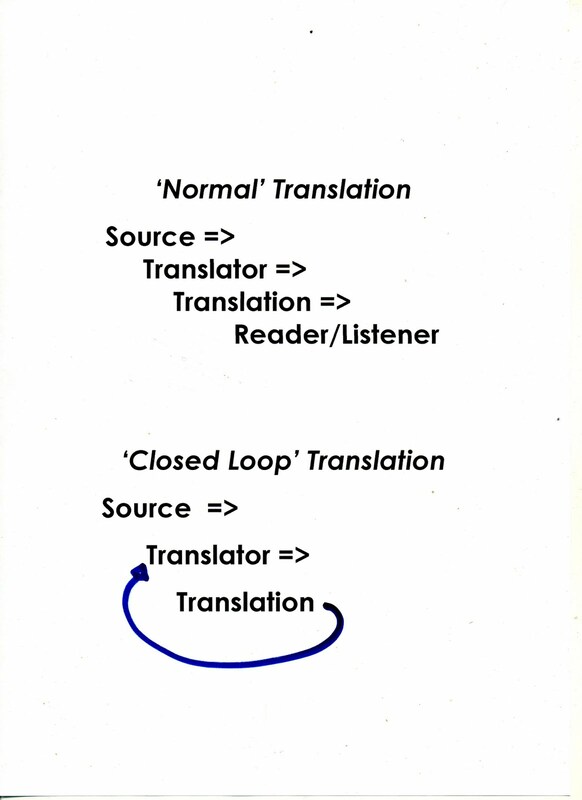 The closed-loop translators, translating only for themselves, have more latitude. Consecutive interpretation notes are by no means the only product of translation combined with adaptation by compression. (The ability to condense and summarise information is another marvel of human information processing with its own questions about how people learn to do it, but that’s another story.) Everyone knows there are translators and interpreters at the United Nations in New York and Geneva, but few people are aware that there’s also a career of Summary and Précis Writer. “Have a perfect command of Spanish and an excellent knowledge of English and one of the other official languages of the United Nations (Arabic, Chinese, French or Russian)…. It’s definitely work at the Expert level. It’s not unrecognized, but it’s little known. Andrew Owen. Not Hearers Only: A Practical Ministry for Deaf People in the Local Church. London UK and Oberlin OH: Wakeman, 2007. 135 pages, paperback. UK £9.95. Wilhelm K. Weber. Training Translators and Conference Interpreters. Orlando: Harcourt for Center for Applied Linguistics and ERIC Clearinghouse on Language and Linguistics, 1984. 70 p.
Summary and précis writing. Course Code: E4W5/1. United Nations Language and Communications Programme, OHRM. www.un.org/Depts/OHRM./COURSE/SummaryPrecisWriting. United Nations / Nations Unies. Notice: 2009 competitive examination for Spanish-language translators/précis writers. http://www.un.org/Depts/OHRM/examin/exam.htm. 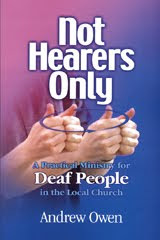 In a post on June 11 with the title The Other Visual Language Interpreters, I described a very complex situation that arose when sign language interpreters and voice interpreters were both in action at the same meeting. Here’s the description of another such event which was perhaps even more complex. It comes from a book by Andrew Owen (see References). Andrew is a Communication Support Worker, supporting Deaf students in secondary schools, colleges and Universities in London UK. He’s is the founder and Vice Chair of the Association of Communication Support Workers. He believes in practical solutions to fit situations irrespective of professional dogmas – or mantras as he calls them. There’s an important difference between the setup that I witnessed and the one Andrew describes. In my case, all the interpreters were Professional Experts. Whereas at the Japanese-English event there seems to have been a mixture. The Japanese sign language interpreter was no doubt an Expert, and likewise the English to BSL interpreter. The hearing pastor who interpreted from spoken Japanese to spoken English, and the lady at the back of the meeting who shadowed the English interpretation from the BSL interpretation, were probably not. The BSL to Ghanaian ASL was probably not an Expert either. Work it out! The non-Experts were probably Advanced Native Interpreters who happened to be members of the church. I’ll come back some other time to the Romanian. Chuchotage. A borrowing from French. Used by Expert Interpreters to mean whispering, which is also used as a synonym for it. The interpreter sits or stands next to or right behind the listener or listeners and ’whispers’ the interpretation to them. The interpreting mode may be simultaneous or short consecutive. In practice the ‘whispering’ may be true whispering or may mean speaking sotto voce. Pros: It needs no equipment and is a natural process, though it requires experience or training to do it well. Unfortunately it’s largely ignored in interpretation courses in spite of its usefulness. Cons: (a) It must be done quietly enough not to disturb the other people present who don’t want it, and (b) This limits its audience to a maximum of about four persons and an optimum of one. Over at Blogging about translation and localization, Julie McDonald Dolmaya has concluded her series of posts about crowdsourced translators who have translated for Wikipedia. Most of them are Advanced Native Translators, who declare explicitly that they’ve had no training in translating. Her final post deals with motivations. These turn out to be complex, and often multiple even in the same person. She divides the motivations into two categories, intrinsic (done not for a reward but rather for enjoyment or due to a sense of obligation to the community) or extrinsic (done for a direct or indirect reward). This reinforces what has often been said on this blog, namely that a major part of the translating done in the world, even when it requires expertise, is not done for remuneration, i.e. professionally. And furthermore that a great deal of it is done for personal enjoyment. I won’t try to summarise more because Julie herself is bringing out an article in The Translator. But The Translator is a conventional academic journal, so we’ll have to wait until next year for the article to appear. There’s a link to Blogging about translation and localization on the right of this page. Coming so soon after the death of Peter Newmark (see August 5 post), it's all the more saddening to read that another Grand Old Man of translation studies, Eugene Nida, has passed away too. He was 96. Such was his fame that there were even obituaries of him this week in The Wall Street Journal and The Telegraph! For another obituary, go to the Stine article listed below under References. All the obits highlight that for over 50 years he was the leader of translation activities at the American Bible Society. "Translating consists in reproducing in the receptor language the closest natural equivalent of the source-language message, first in terms of meaning and secondly in terms of style." "In contrast with formal-oriented translations [i.e. those that stick close to the form of the original wording] others are oriented towards dynamic equivalence. In such a translation the focus of attention is directed, not so much toward the source message, as toward the receptor response. A DE translation may be described as one concerning which a bilingual and bicultural person can justifiably say, `That is just the way we would say it.' It is important to realize, however, that a DE is not merely another message which is more or less similar to that of the source. It is a translation, and as such must clearly reflect the meaning and intent of the source." The last quotation is taken from his magnum opus, Toward a Science of Translation, published in 1964. In a recent article (see References), I acknowledged how Toward a Science influenced the coining of the terms traductologie in French and translatology in English in the early 1970s. It’s one of the few books I freighted with me from Canada to Spain, not least for its 55-page bibliography. From the 1960s through the 1980s, there was hardly a thesis on translation that didn't cite it. And of course the book itself was translated. I wrote to Nida from the Middle East to tip him off him that an unauthorised Arabic translation had appeared in Iraq (see References). The practical realisation of his ideal came in the form of the Good News Bible of 1976. In addition to his writings, he was a magnetic lecturer who knew how to hold his audience by explaining his ideas to them in crisp English they could all understand and by apt examples. Physically, the word that springs to my mind to describe him is sprightly. As a result, he was in demand as a speaker all over the world until an advanced age. I saw and heard him on numerous occasions, and the last time was at a surprising location: Yarmouk University. Yarmouk University is at Irbid in the north of Jordan, close to the border with Syria. Out of the way, but it had a translation programme. That was in the spring of 1992. ‘Saw and heard him’ in a manner of speaking: actually he didn’t come in person but sent a video of his talk. Looking back through my notes, I see that by coincidence one of the things he said is particularly relevant to the post that immediately precedes this one and its title ‘A Gift for Consecutive’. He told the story of a North American Indian interpreter who had once interpreted a whole lecture of his non-stop and without taking any notes. All 45 minutes of it. It might seem incredible were it not that we have other well-documented accounts of feats like that. Was it because the interpreter had ’the gift’ or was it because he or she came from a culture with a strong tradition of oral messaging and story-telling? Nevertheless, I only had direct dealings with him on one occasion. It must have been around 1980, soon after my first publications about Natural Translation. He was always open-minded and eclectic – Toward a Science has a chapter on machine translation – and on the lookout for new ideas. So he invited me to give a talk in a symposium he was organising at an American university. I recall with shame that in my enthusiasm I committed the sin of going on speaking well beyond the time allotted to me. But he didn’t interrupt me or reproach me. He was a very courteous person. One of the bees in my bonnet is that contemporary mainstream translation studies don’t attach enough importance to religious translation. Through Nida, religious translation made a great contribution to modern translation theory. Eugene Nida. Toward a Science of Translating, with special reference to principles and procedures involved in Bible translation. Leiden: Brill, 1964. 331 p. Second-hand copies from $25 through Amazon USA. Eugene Nida. Arabic version of Toward a Science of Translation translated by Najjâr in the series 'alkutub almutarjamah (Translated Books). Baghdad: Ministry of Publishing Press, 1975. Good News Bible: Today’s English Version. Translated by the staffs of the American Bible Society and the United Bible Societies. New York: American Bible Society, 1976. It was preceded by Good News for Modern Man: The New Testament in Today's English Version, American Bible Society, 1966. Stephen Miller. Spreading the Word in hundreds of tongues. Wall Street Journal, August 30, 2011. The Reverend Eugene Nida. The Telegraph, September 3, 2011. Philip C. Stine. Eugene Nida dies. United Bible Societies, August 25, 2011. Brian Harris. Origins and conceptual analysis of the term traductologie/translatology. Babel, vol. 57, no. 1, pp. 15-31, 2011. Image: Eugene A. Nida Institute for Biblical Scholarship. 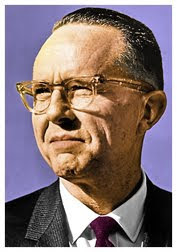 The portraits accompanying the newspaper obits are more glamorous, but this is more like how I remember him. Consecutive interpreting is of two types. The kind done by Expert Conference Interpreters is the long or full kind. In this, speakers go on for several minutes without stopping and the interpreters have to translate it all afterwards. Except for a few interpreters who have phenomenal memories, they take notes. Some people have a natural gift for it. We used to hold an annual schools visit day at the University of Ottawa, when the School of Translation and Interpretation would try to give high school students a taste of what our work was like. One of the highlights was when we sat them in the interpretation lab and put them through them an exercise in simultaneous and consecutive. One year, a 15-year-old girl with no training or experience amazed me by giving a perfect consecutive rendition of an uninterrupted three-minute speech, a test usually performed by advanced students of the School. Now Lionel Dersot has something interesting to say about consecutive interpreting ability. For the full account, go to his blog via the Liaison Interpreter in Japan link on the right of this page. "If 100% of the population would eat fish at least once per week as recommended, there would be a need for an additional 148,380 tons of finished products, that is about twice as much in terms of raw catches." Incidentally, the post in question contains a neat example of the kind of notes that consecutive interpreters take and the usefulness of Chinese characters for them if you happen to know Chinese or Japanese. Incidentally too, Lionel elsewhere refers to “the majority of untrained interpreters who practice on the planet without the credentials,” and says, “I am one of them and feel closer to a terp in a theater of war than to an AIIC member.” Well yes, so long as you understand that he rates at very least as an Advanced Native Interpreter. However, long professional experience constitutes on-the-job training and there’s no doubt he’s actually an Expert Interpreter. AIIC: International Association of Conference Interpreters. The acronym derives from its French name, Association Internationale de Interprètes de Conférence, because the organisation was founded in Paris in 1953 and the founders were French speakers. Lionel Dersot. The logical mind. The Liaison Interpreter blog, August 23, 2011. In my July 2 post, I called attention to a survey that was being done by Julie McDonough Dolmaya (see photo) of York University in Toronto. It concerns translators who participate in crowdsourcing projects. More particularly, she profiles 76 translation contributors to Wikipedia. What follows is just an extract focusing on what's of particular interest for this blog here. For the full picture, which she hasn’t finished painting yet, and for important information like her sampling method, go to her blog, which you can reach quickly via the Blogging about translation and localization link on the right of this page. ¶ A great deal of Wikipedia, especially in languages other than English, has been produced by translating. In general the translations are good as regards both content and language, indeed so good that sometimes it’s hard to tell which version of an article was the original. Even without exact figures, it’s certain that Wikipedia contains, semi-obscured, a vast corpus of technical translations, and therefore studies of those translations and of the translators who did them will be important for translation studies. ¶ Its discourse is at a level that requires an advanced education. It lies well beyond the ‘everyday circumstances’ that’s part of the definition of the Natural Translation Hypothesis. ¶ Furthermore, each article requires expert knowledge of its subject field and of the accompanying terminology. ¶ In addition, Wikipedia users are very critical readers, as you can see from the discussions that accompany the articles. If translations are inadequate, one would expect readers to criticise them. Conversely, if they’re not criticised… In either case, it’s an aspect that calls for investigation. ¶ The language of Wikipedia writings, at any rate in the languages I can read, is formal, even academic, as befits the long tradition of encyclopaedias. ¶ Wikipedia doesn’t pay its contributors. What then do we learn from Julie’s research? ¶ Of the other 32%, most had taken anything from “a few courses” to a full degree or certificate at a university or college, and a small minority (about 8) replied, “I received training in translation at my workplace.” We may – with some generosity in the case of those who just “took some translation courses” – class them as Expert Translators. ¶ “52 of the 76 respondents (68.4%) had never worked as translators (i.e. they had never been paid to produce translations). Only 11 respondents (or about 14%) were currently working as translators on a full- or part-time basis, while 13 (or about 17%) had worked as translators in the past but were not doing so now.” Let’s lump them all together as Professional Translators and assume – again with some generosity, especially towards the part-timers – that they’re all Experts. Furthermore, as Wikipedia doesn’t pay for translations, it’s as Expert Translators and not as Professional Translators that they’re contributing to it. ¶ “Only two respondents were members of a professional association of translators.” Experts, of course. Probably they overlap with the set that had received formal or workplace training; but not necessarily, because some associations accept members without such training. Anyway, the number is tiny. So what can we conclude? Subject to a few caveats which Julie mentions herself, the following. That given the nature of Wikipedia texts (which rules out Natural Translators), and Julie’s figures, over two thirds of Wikipedia translators are Advanced Native Translators. Thank you, Julie, for a pioneering initiative. Advanced Native Translator, Natural Translator, Expert Translator, Professional Translator: for definitions of these terms and the relationship between them, enter definitions in the Search box on the right and then select the post of November 12, 2010 from the results. Julie McDonough Dolmaya. Wikipedia survey I (respondent profiles). Blogging about Translation and Localization, May 30, 2011. Julie McDonough Dolmaya. Wikipedia survey II (types of participation). Blogging about translation and localization, June 12, 2011. A book that’s making waves in language teaching circles is Guy Cook’s Translation in Language Teaching. Making waves? Well, last year it won the Ben Warren Prize, which is a prized awarded annually by the Ben Warren-International House Trust to an author or authors of an outstanding work in the field of language teacher education. It’s a sign of the times. The so-called grammar-translation (GT) method was dominant in schools for centuries until World War II, when it was displaced by various applications of the ‘direct method’ (pattern drills, audiovisual learning, etc.) Cook deals with this in his historical introduction, though I don’t agree with him that the influence of private for-profit language schools such as Berlitz was determinant. I myself learnt four languages by GT and then lived through the changeover forcibly as a TESOL teacher in the 1960s. The reasoning behind the change was that (a) we learn our first languages from their use in context and not by studying grammar as such nor by translating, and (b) translating causes interference. These are valid arguments up to a point, and Cook doesn’t recommend returning to the nineteenth century. But now the realisation is dawning that translation can’t be shut out. Teachers who are teaching by the ‘direct method’ slip into using it anyway. Often it’s by far the quickest means for conveying to a student the meaning or the use of a new item in the second language. Then there’s the psychological fact that whatever the method, students are constantly translating to themselves in their own minds. Furthermore – and this is something that’s not emphasised enough – second language learning is hard work and so it needs motivation, and one strong motive for learning another language is in order to be able to translate speech and documents for oneself and for other people. The accent today is on language learning for communication, and translation is needed more and more for communication. Guy Cook. 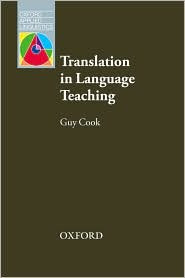 Translation in Language Teaching: an Argument for Reassessment. Oxford University Press, 2010. 202 p. Paperback £29. Jonathan Marks. Review of Cook’s book in The Linguist, June/July 2011, p. 28. For another proponent of translation in language teaching, Richard Vaughan, see the post about him on this blog by entering Vaughan in the Search box on the right. The last post recommended Peter Newmark’s article The Curse of Dogma in Translation Theory highly and gave a reference for it, but the original was published back in 1991 so it may be hard to find. Now I’ve added a reference to the more recent online reprint, but it’s very expensive to view unless you can access it through a library. So it occurs to me that I should give you at least a taste of his thinking and his style. The article in question makes a critical tour of the schools of theory that were fashionable among academics at the time and indeed still are. I mentioned that when I last met Peter we were listening to a conference paper by a speaker who was saying that translation not merely involves culture transfer, it is culture transfer. So here’s what Peter had to say about that, the third in his round-up of theories. A dogmatic adherence to the `equivalent effect' principle [that a translation should have the same effect on the reader as the original had on its readers]… leads implicitly to the idea that translation is essentially culture substitution... Caricaturing the position, national games , dishes, drinks,recreations, fashions (say slimness or fatness) would be regarded as equivalent or intertranslatable, if they aroused equivalent emotions. Hence Shakespeare's summer's day becomes Arabic oasis or palm tree, which is nonsense. The fact is that the translator only rarely uses cultural equivalents, which are always inaccurate. More commonly, she takes advantage of cultural overlap (a rose is a rose in many cultures and languages, including some where roses are only heard or read about), or she introduces (transfers) and glosses the source language cultural word, or she adjusts communication by using the expanding, intertranslatable universal language of science and technology, which is mainly non-cultural, of international organizations (the European Commission as a promoter of literal translation). You don’t have to agree, but my point is – as I said last time – that he kept his feet on the ground of translation practice. He was a Grand Old Man of British translation studies and a very nice, helpful person. Dozens, perhaps hundreds of professional translators like me read his bi-monthly column in The Linguist religiously. There will be many tributes to him, and a memorial meeting is to be held in the autumn at Guildford, in the south of England, where he lived and – in recent years – taught. There will also be many personal reminiscences from his colleagues, friends and students. In fact one such anecdotal tribute was published recently by a Spanish former student whom he had counselled, José Manuel Mora Fandos. He describes how Newmark’s Paragraphs on Translation delivered him from "the theoreticians who had never themselves translated anything." What José Manuel liked in Newmark’s writings about theory was what I liked. He kept his feet on the ground of translation practice and wrote in the British tradition of clear language. His attitude was well summed up in the title of one his articles: The Curse of Dogma in Translation Studies. I smile at the image of him towards the end of José Manuel’s article where he goes off to his university class by bicycle. He must have been in his eighties. I got to know Peter in person when he spent a period as a guest lecturer in Ottawa in 1983. He did me two services around that time: he persuaded me to switch to using the excellent Collins English Dictionary, which was new then, and he introduced me to the research of Hans Krings. Krings was a pioneer in the use of the ‘think aloud’ technique in translation research. At that time his work was only available in German, in which Peter was fluent but not me. However, the last time I met Peter in person was at a translation conference in London in December 1991, and there he did me a service of another kind that was to have far-reaching consequences for me. We were sitting together listening, as I remember, to a speaker who was of the school that says translation is a transfer between cultures rather than between languages. Peter had told me just beforehand that he thought translatology was too pompous a term for what we do in translation studies – an opinion he was to change but only much later. Afterwards, I told him that I was on a committee to select a new director for the School of Translation and Interpretation at the University of Ottawa. I also said that we weren’t making much progress because we couldn’t agree on a candidate we liked. Then he remarked, “Well, you have done it before” – I’d been director from 1975 to 1979 – “and you were successful. Why don’t you do it again yourself?” So I went home and thought about his assessment, which carried weight, and I did in fact offer myself as director and got the job. And that’s how I ended up my career at the University of Ottawa, thanks to Peter’s encouragement. Peter Newmark. Paragraphs on Translation. Clevedon and Philadelphia: Multilingual Matters, c1993. 176 p. Paperback edition available from Amazon UK. Peter Newmark. Translation now - 60. The Linguist (Chartered Institute of Linguists, London), vol. 48, no. 6, p. 27, 2009. Collins Dictionary of the English Language. Edited by Patrick Hanks, Thomas Hill Long, and Laurance Urdang. London and Glasgow: Collins, 1979. 1690 p. There have been several later editions. Repairing Texts: Empirical Investigation of Machine Translation Post-Editing Processes. Translated from German by Geoffrey S. Koby. Kent State University Press, 2001. 635 p.
After the last three posts about ‘terps’, I thought I would move away from warfare. But not quite yet. However, this time it’s a very different context and about a different arm of the Defense establishment, the US Navy. The technological bent of modern warfare has led to a need for highly educated officers. Often they're encouraged to go back to university and study for higher degrees. As a by-product of this upgrading, they produce interesting research material. For example, the very first thesis I ever came across about machine translation was by a Canadian Armed Forces officer, André Gouin. It was an evaluation of an early version of the now familiar SYSTRAN (www.systranet.com), and that was in 1970. Forty years later comes a thesis by an American naval officer that highlights the potential value of Natural and Native Translators among US Navy personnel. Not that the author, Michael F. D’Angelo, uses those terms. Instead he speaks of “Sailors who possess the native foreign language skills and cultural background,” as well, of course, as English. The Navy needs many ‘linguists’ and for various functions. There’s a good historical section where D’Angelo traces them back to diplomatic interpretation in the late 19th century for missions such as Commodore Perry’s, which opened up Japan to the West. The function, however, with which the thesis is mostly concerned is the modern one of Cryptologic Technician Interpretive (CTI). Basically the CTI is a cryptologist who works on breaking the codes of foreign navies and decoding their intercepted communications. It’s a role that first became crucial even before Pearl Harbour in connection with Japanese. CTIs are expected to translate – that’s the Interpretive in their title – and must therefore know the languages of the encoded messages. They are trained for two years, first in the Defense Language Institute at Monterey, California, and then in one of the Navy’s several Language Centers of Excellence. The intensive training turns out Professional Experts, and as such they pass beyond the scope of this blog. Ad hoc linguists – ah, there’s another term for non-Expert but useful interpreters and translators. Lt. Michael F. D’Angelo (United States Navy Reserve). Options for Meeting U.S. Navy Foreign Language and Cultural Expertise Requirements in the Post 9/11 Security Environment. MSc dissertation, Naval Postgraduate School, Monterey CA, 2009. 137p. http://edocs.nps.edu/npspubs/scholarly/theses/2009/Jun/09Jun_D_Angelo.pdf. D’Angelo is himself a Farsi CTI. Capt. André R. Gouin (Canadian Armed Forces). French to English Machine Translation System Based Upon Digital Computer Software Programs (SYSTRAN). MSc dissertation, School of Engineering, AirForce Institute of Technology, United States Air Force, 1970. 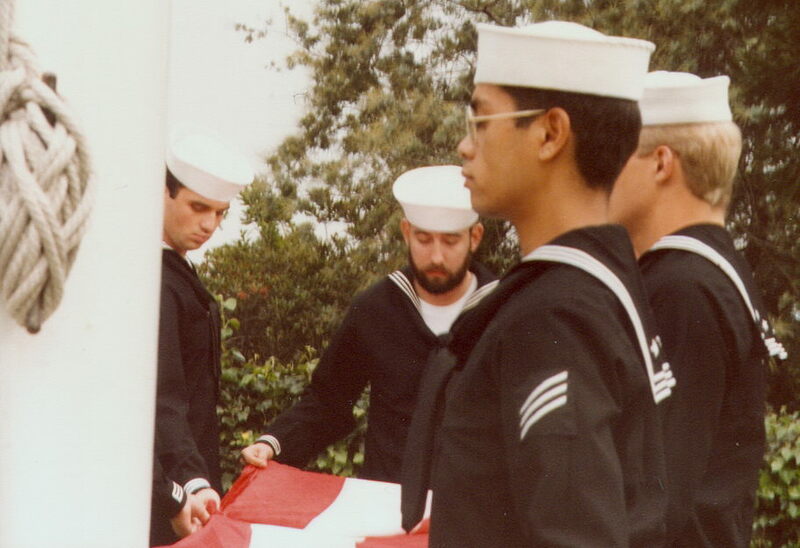 53 p.
Evening Colors at the Defense Language Institute, Presidio of Monterey, Monterey CA, 1984.